Sheen Falls Country Club offer two different styles of self-catering: The Courtyard Houses and Mountain View Houses. 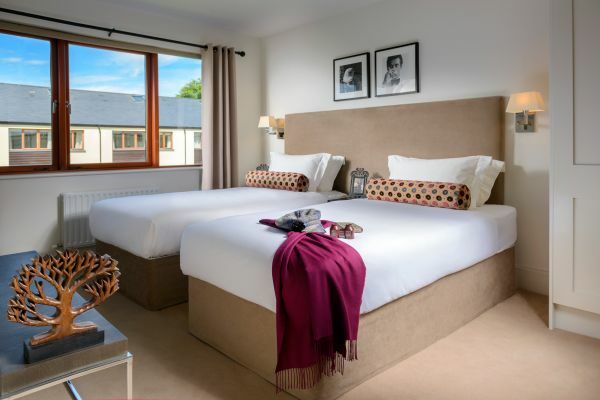 The Courtyard at Sheen Falls Country Club is comprised of twenty luxury townhouse-style holiday homes in Kenmare, Co. Kerry. 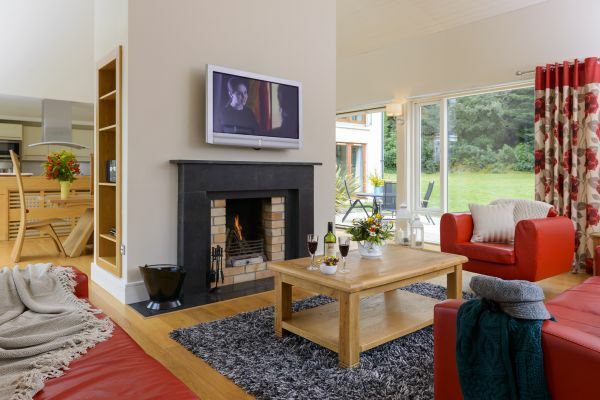 These modern holiday homes have a total of nineteen 3 bedroom houses and one 4 bedroom house. 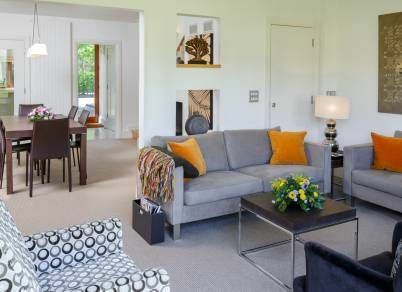 The 3 bedroom townhouses can comfortably accommodate up to 5 people. 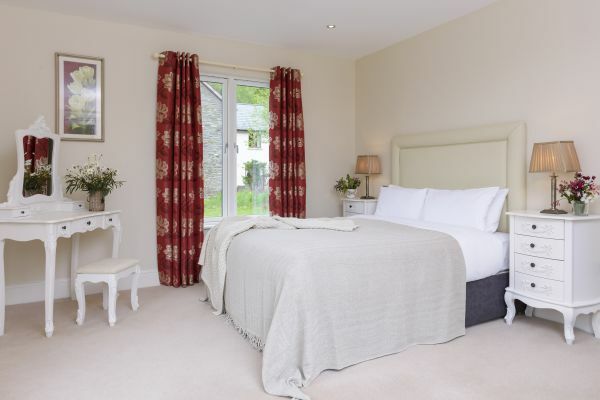 There is a large master double bedroom with ensuite bathroom, the second bedroom is a twin bedroom, also with ensuite bathroom. In addition, there is a third bedroom with a single bed. The main bathroom is located upstairs as are all the bedroom with a bathroom located on the ground floor also. 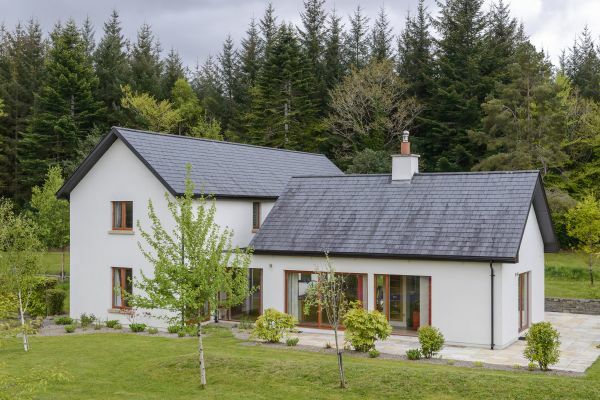 Mountain View at the Sheen Falls Country Club is a majestic development of high quality detached properties set within the privacy of their own gated entrance. Here you will find beautifully finished properties combining natural stone and cedar wood finish, where you can enjoy the panoramic view of the bay and the surrounding countryside. 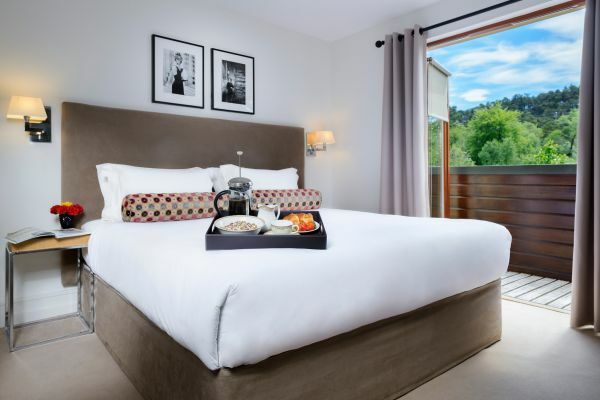 These exquisite modern homes come with 4 large double rooms, all ensuite, offering luxurious accommodation for 8 people - more in select cases. State of the art smart homes technology and the space and elegance you would expect in houses of such high quality finish is on offer to all. So whether it is open fires, Italian marble, large bedrooms or spacious gardens you enjoy most, there is something to tantalise the taste buds of the discerning guest. 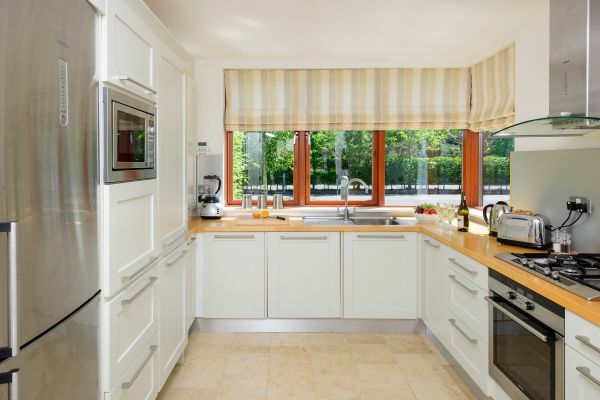 All kitchens are fully fitted with American style fridge freezers, a gas hob, electric oven, microwave, dishwasher, coffee machine and all the modern conveniences you would expect. There is a separate utility room offering a washing machine and condenser drier, as well as additional storage. The open plan setting of the living & dining area, gives an air of luxurious spaciousness that you will find hard to get elsewhere. All this complimented by the wifi, satellite TV and home cinema system. Guests of Sheen Falls Country Club can avail of a number of local activities including horse riding, fishing, cycling and hill walking. Relish the freedom to enjoy the authentic woodland, meandering Sheen river and heather-covered mountains of the 300 acres private Estate on which Sheen Falls Country Club is superbly located. Attune yourself to the refreshing river-sidewalks, forest pathways, glistening waterfalls and a sensation of peace that, in esscence, is unique to the Sheen Falls Country Club. 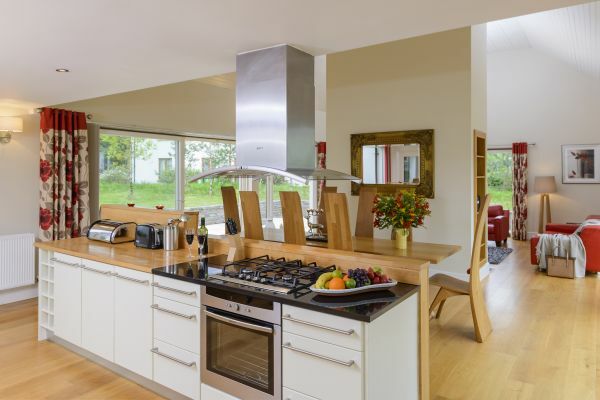 From Kenmare Town to The Courtyard coming from Kilgarvan – R569 and Cork – N22. On entering Kenmare continue past the Kenmare Golf Club on the left. Follow on to Shelbourne Street with the Lansdowne Arms on your right, stay in the left hand side lane. At the end of this street take a left for the Glengarriff - N71 Road. Continue for approx. 1km, over the Suspension Bridge and follow the road for Glengarriff. After the Riversdale House Hotel on your left hand side take the first road to the left (large sign for Sheen Falls Lodge). The hotel is located about 1 km on the left hand side and the entrance to The Courtyard is 100meters beyond this on the right hand side - before the old stone bridge. From Kenmare to The Courtyard coming from the Killarney/Molls Gap (N71). On entering the town via the square, continue straight ahead and up the Main Street staying on the right hand side. At the top of the street take the right turning around by the Lansdowne Arms Hotel – you have Right of Way. You are now on Shelbourne Street; stay on the left hand side. At the end of this street take a left for the Glengarriff - N71 Road. Continue for approx. 1km, over the Suspension Bridge and follow the road for Glengarriff. After the Riversdale House Hotel on your left hand side take the first road to the left (large sign for Sheen Falls Lodge). The hotel is located about 1 km on the left hand side and the entrance to The Courtyard is 100meters beyond this on the right hand side - before the old stone bridge.